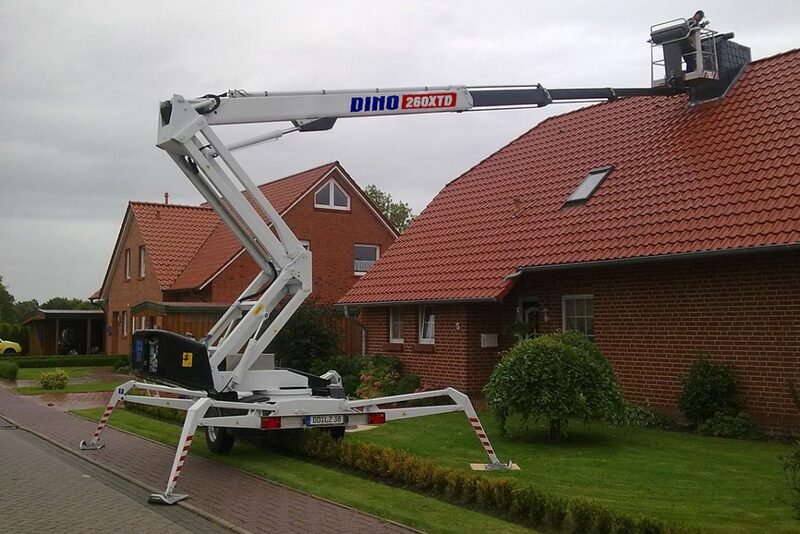 An articulated DINO trailer is a cost-efficient way to work safely at height. Whenever there is weight restrictions on the job, an articulated trailer is a good choice. 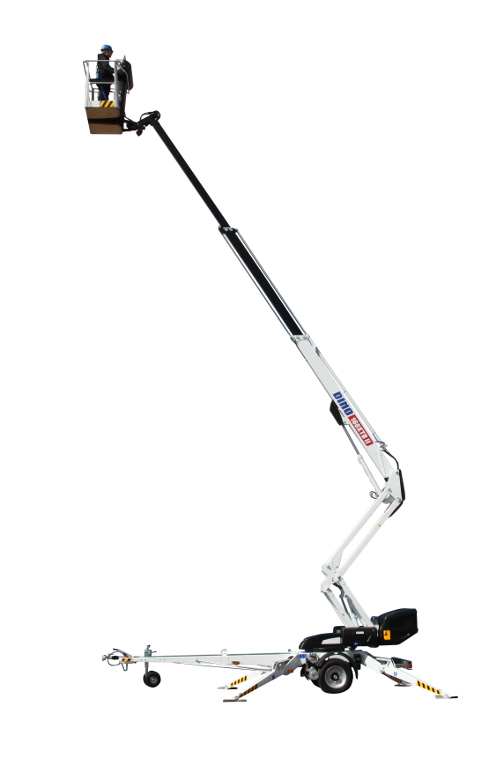 The light weight and compact size allows for access also in constricted work sites. 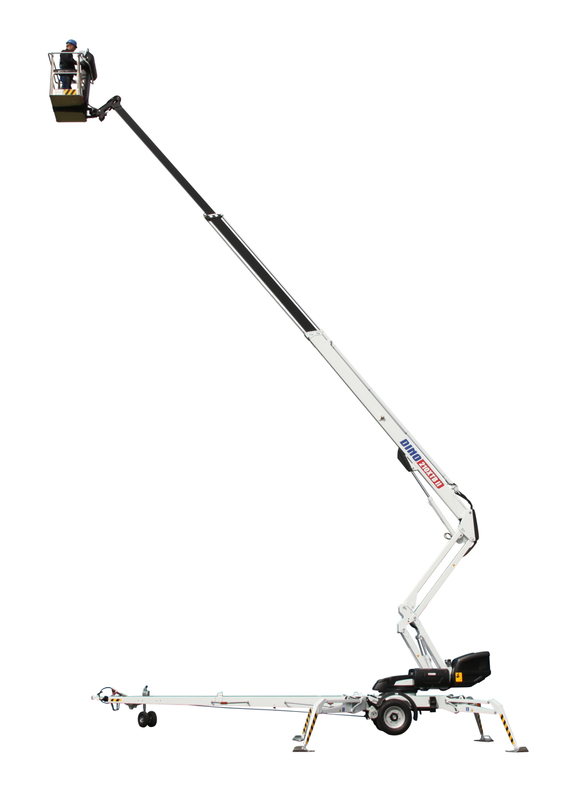 Outriggers with large inbuilt outrigger plates to spread the load allow use on delicate surfaces or soft grounds. 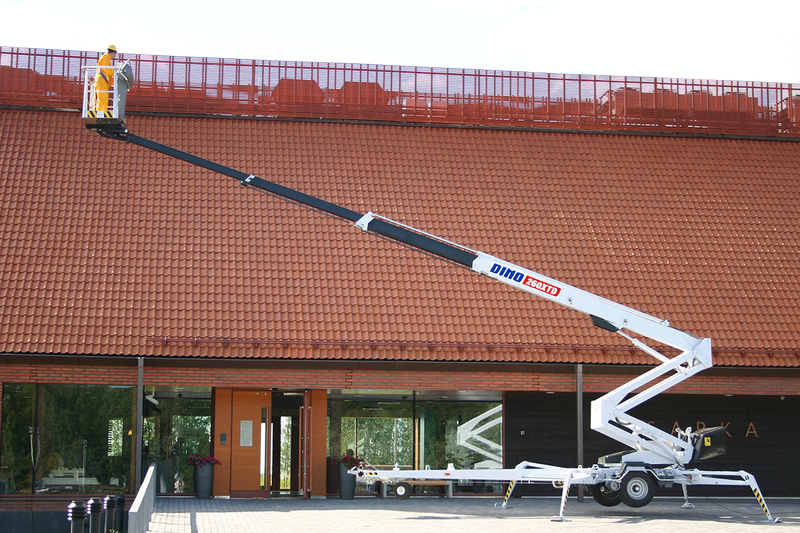 Up-and-over access combined with allround easy and safe use for any work at height. 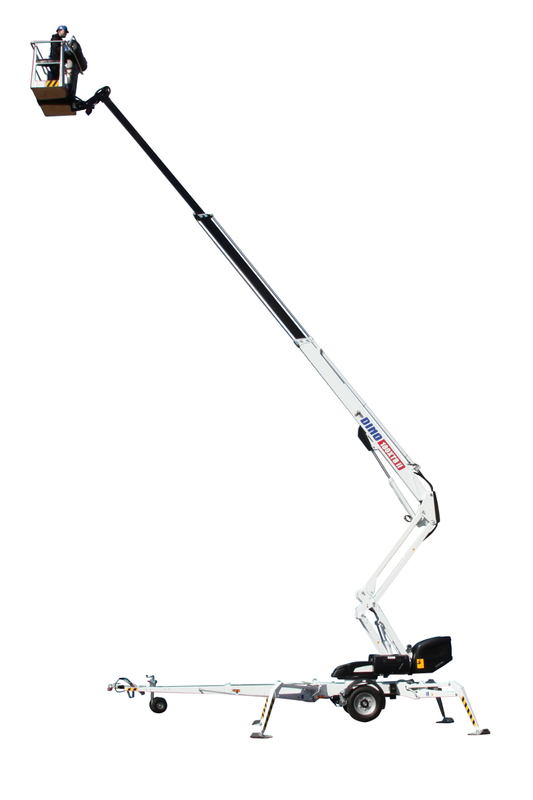 Unwanted boom movements are prevented, controls are easy and intuitive to use. When there is need to move the machine from one work site to another in between jobs a DINO articulated trailer is a good choice. 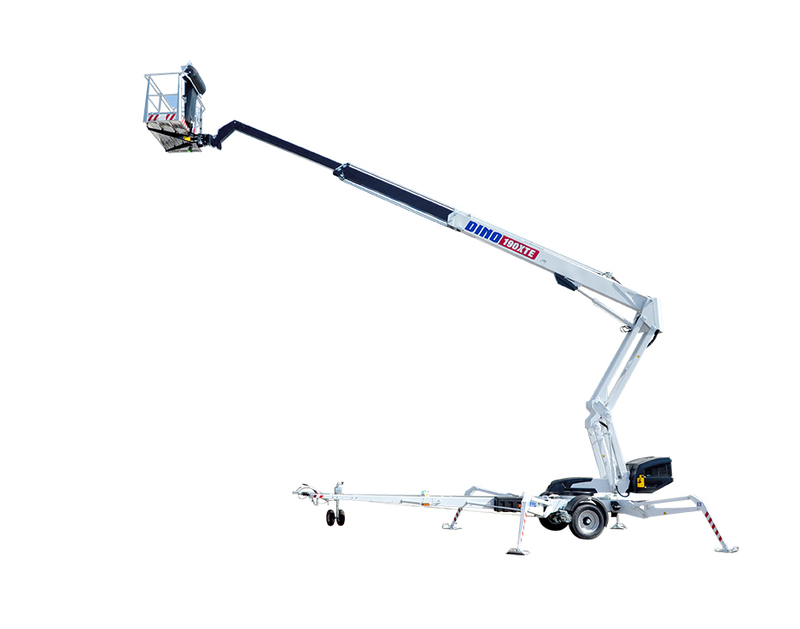 The double articulated arms and telescopic boom gives the operator an enjoyable ride from the ground up. 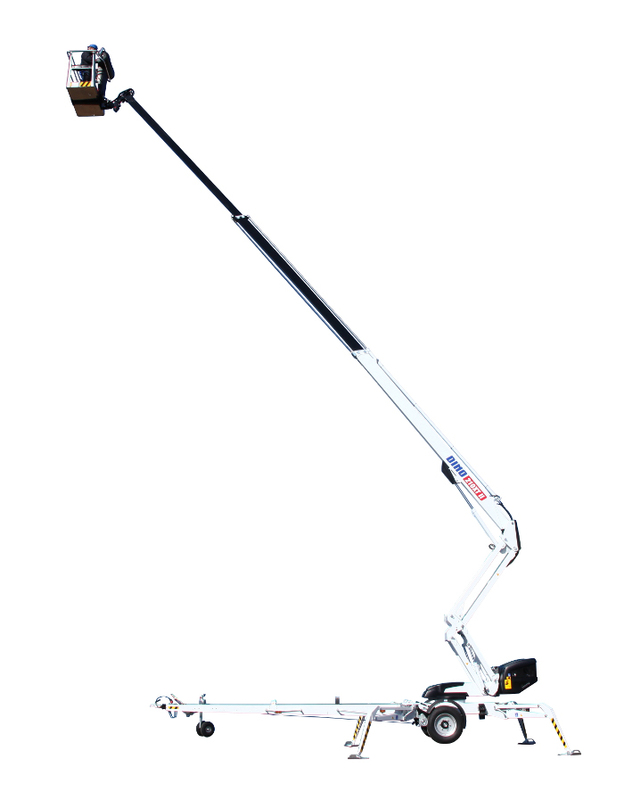 The robust and well balanced chassis allows for safe towing on the road and when operating the driving system in the work site. 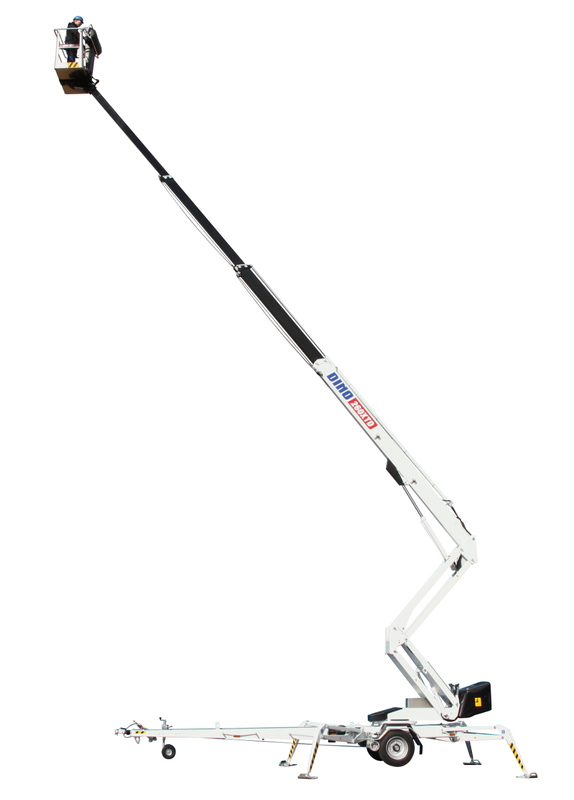 DINO articulated telescopic trailer MEWPs are identified by the X in the model name, X meaning the articulating riser. 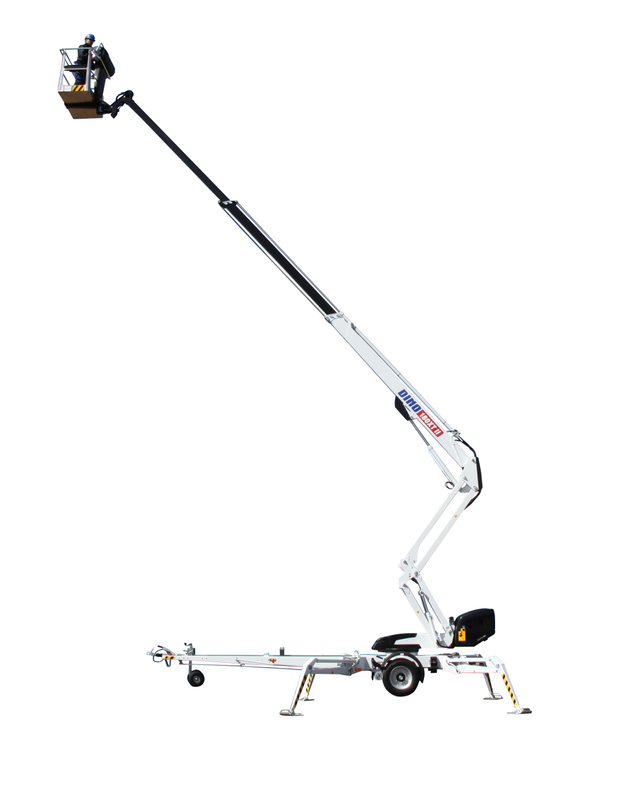 With an articulating riser the MEWP can be placed closer to the work area as the riser allows the boom to be lifted vertically before telescoping the boom out. 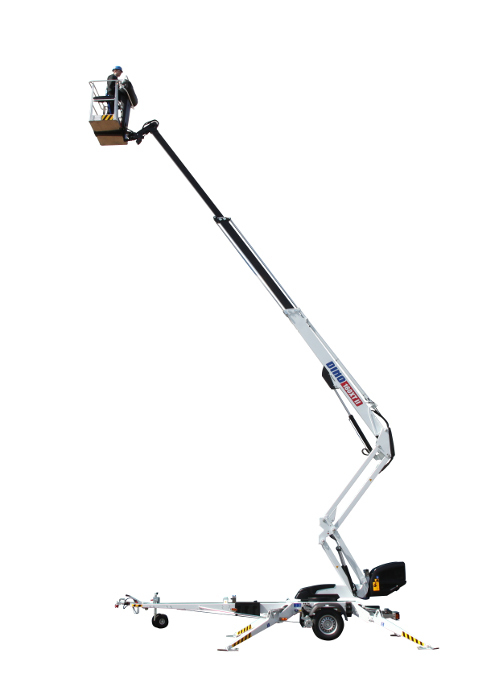 This feature enables more flexible use of the MEWP. 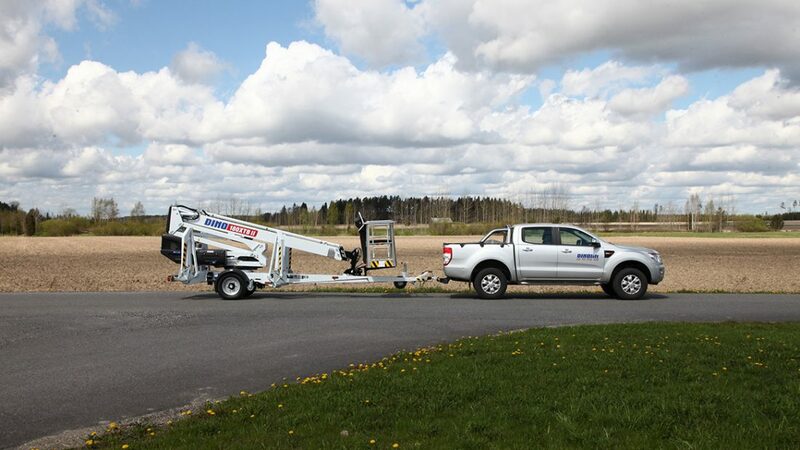 The light weight of a trailer gives important benefits to the user: the machine can be used in work sites where there are weight restrictions or inside buildings. 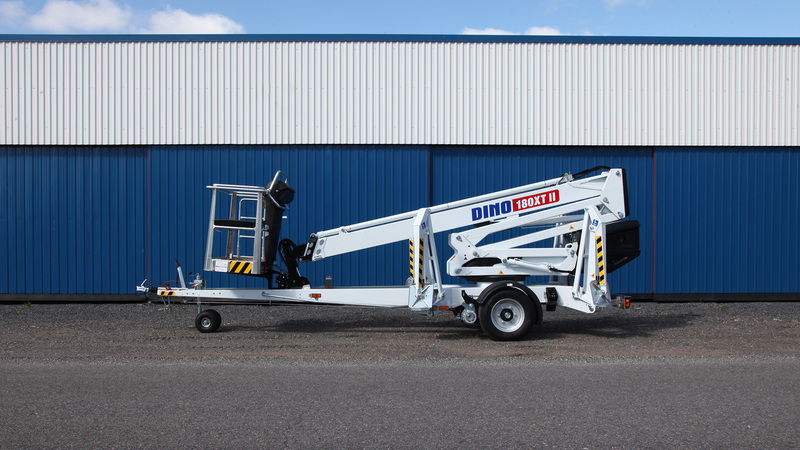 A DINO XT trailer is easy and safe to transport thanks to the robust steel structure and the well balanced chassis. 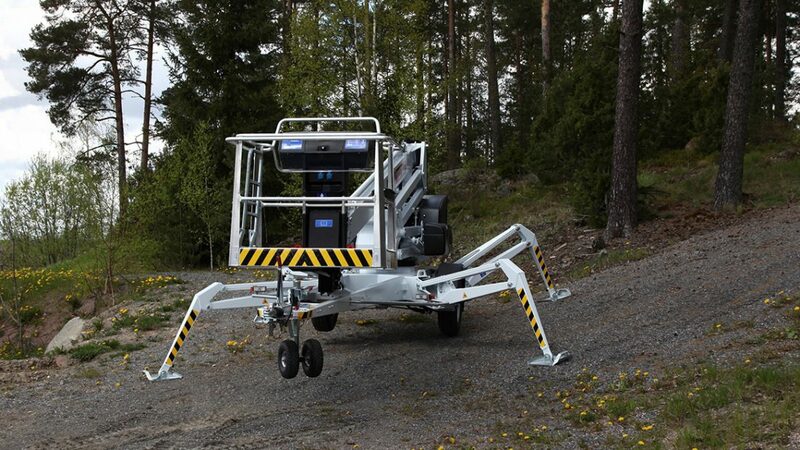 If there are multiple work sites with transportation needs in between, or short term jobs, the cost conscious user should go for a DINO XT trailer. DINO XT trailers are rental ready. 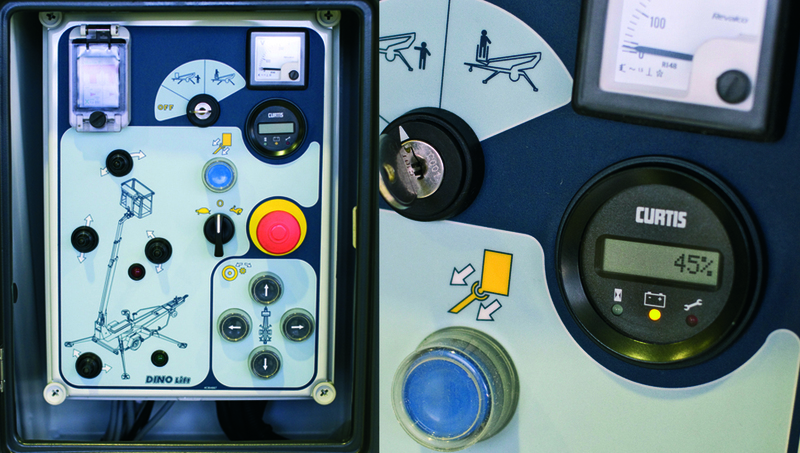 Standard features include continuous rotation of the boom, basket rotation and driving system. 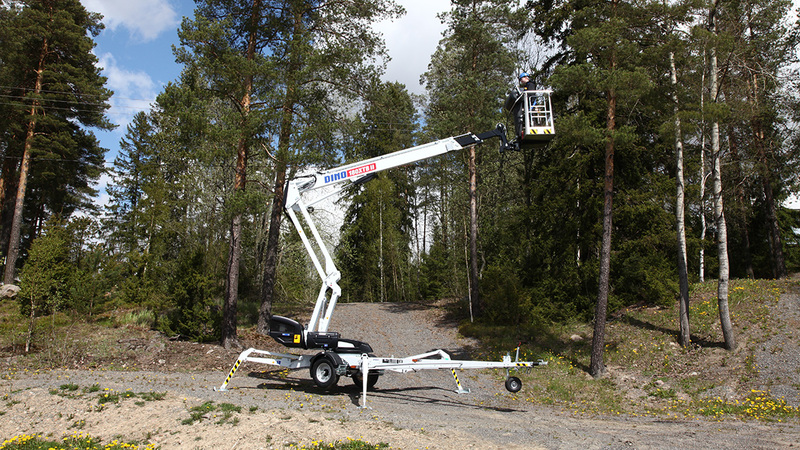 The tallest DINO XT trailer 260XTD can be operated entirely from the basket: enabling the driving system, moving the machine in the work site and automatically levelling the outriggers. For quick and easy operation.